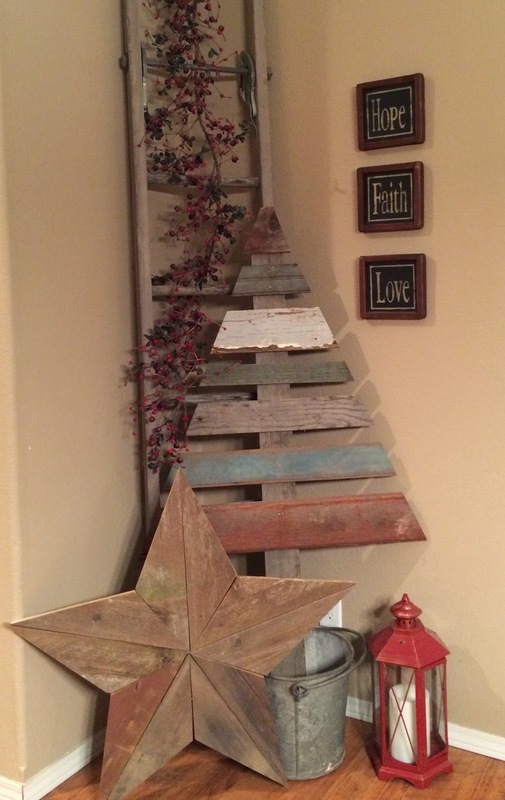 Ashley has recently been putting her woodworking skills on display as she has been using reclaimed wood from the ranch to create new home decorations. 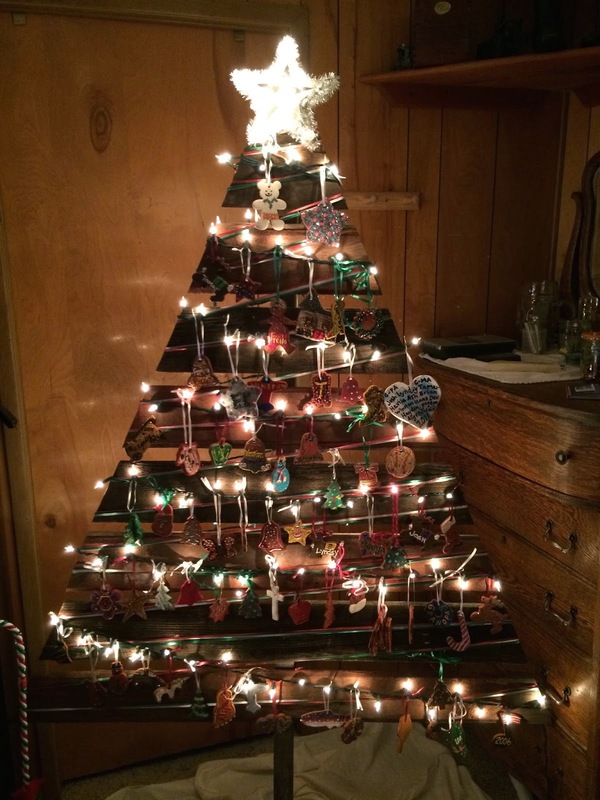 She has created wood Christmas trees and starts that look spectacular and fit in perfectly with our home. A few pieces of Ashley's handiwork on display in the house. 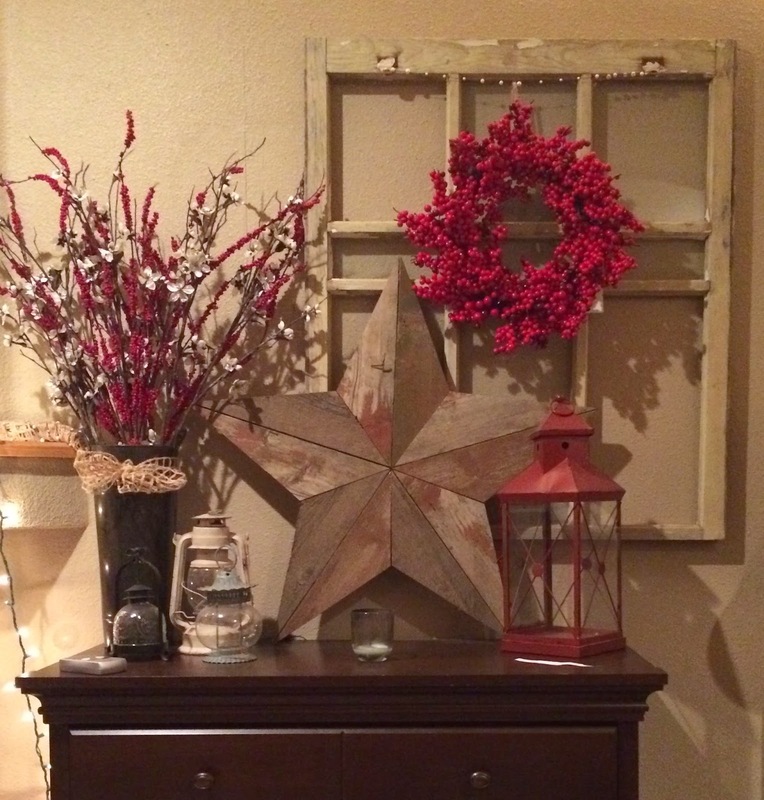 A star creation that fits perfectly in the decor of our living room. We even used one of the trees to create the Grandpa and Grandma Roberts' Christmas tree. Complete with lights and ornaments it turned out awesome!